HOMESTEAD, Fla. (Sept. 22) — GEICO Suzuki pro Martin Cardenas put a virtual stranglehold on the 2012 GoPro Daytona SportBike championship Saturday with a strong second-place finish in the first of two GEICO Motorcycle AMA Pro Road Racing races this weekend at Homestead-Miami Speedway. The 29-year-old Cardenas, who won the Daytona SportBike class in 2010, finishes the day 83 points ahead of Dane Westby, the only rider left with a mathematical chance of winning it all. 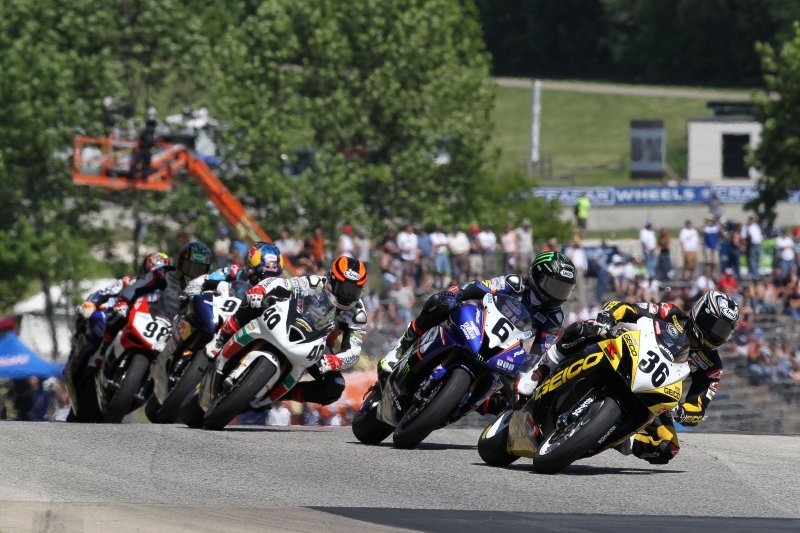 Saturday’s winner, Cameron Beaubier, was officially eliminated from championship contention. “I had a great start, got the holeshot, and led the first two laps,” Cardenas said. “Cameron got around me and just pulled a gap. He was very good, especially early in the race. I tried to keep on his pace but I just couldn’t. “I began focusing on the guys behind me. Bobby and Dane were both on my rear wheel at various times. My pit board seemed to say 0.0 (gap) every time I went by so I knew I needed to ride perfect laps. I think maybe once or twice I made small mistakes but it didn’t hurt me. The main goal of the day was to finish ahead of Westby, Cardenas’ teammate at Team Hammer. Westby started the day 76 behind Cardenas and lost seven more points with his fourth-place result. The maximum number of points that a single rider could earn this year is 94. Cardenas has a class-leading seven victories and 12 podium finishes this season. The second race of the Triumph Big Kahuna Miami is scheduled for 2:15 p.m., Sunday. SPEED TV will air all of Saturday and Sunday’s action. 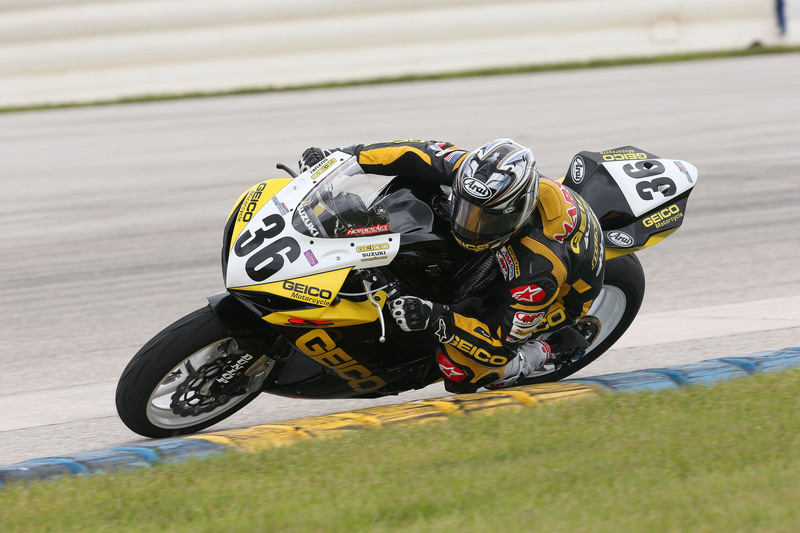 HOMESTEAD, Fla. (Sept. 21) — The penultimate event of the 2012 GEICO Motorcycle AMA Pro Road Racing Series has arrived at Homestead-Miami Speedway and championship points leader Martin Cardenas already has established himself as a favorite. Cardenas opened qualifying for the Triumph Big Kahuna Miami with a steady 1:25.745 lap around the 14-turn, 2.21-mile circuit, good enough for the second slot in the provisional field of the GoPro Daytona SportBike category. Cameron Beaubier was first with a 1:24.645. Weather always is a factor in South Florida, although despite some heavy cloud cover at times it remained mostly rain-free throughout the day. “The weather was a little unstable both times out but we managed to get some dry time on the track and work on some things,” Cardenas said. “We changed rear shocks between practice and qualifying and it seemed to respond. I think there is more to get and perhaps we can improve. Qualifying resumes with a second and final session at 8:50 a.m., Saturday, which will set the field for both races. 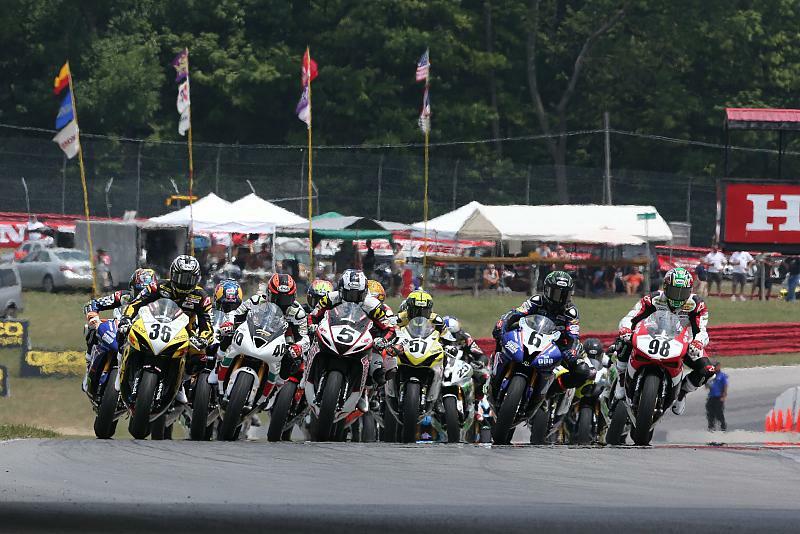 Race 1 takes place at 2 p.m., Saturday, with Race 2 slated for 2:15 p.m., Sunday. SPEED TV will carry all the action. 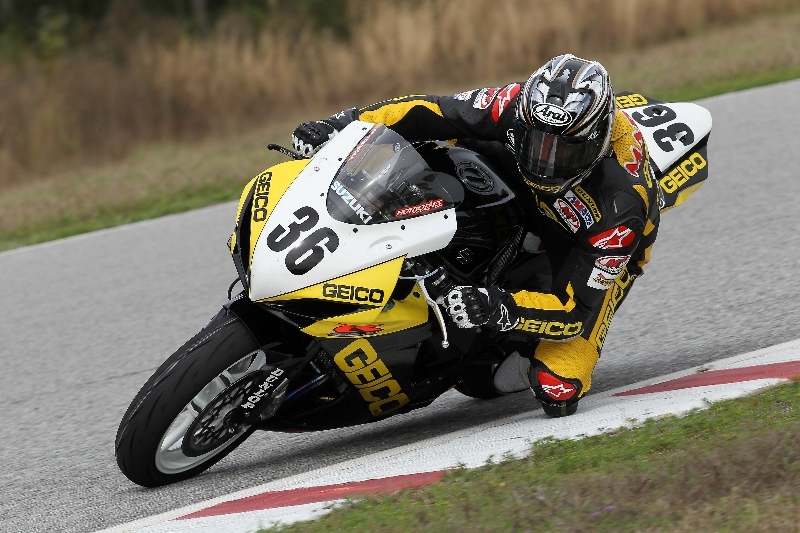 GEICO Suzuki’s Martin Cardenas won his seventh AMA Pro Daytona SportBike race of the year and stretched his points lead at New Jersey Motorsports Park. HOMESTEAD, Fla. (Sept. 20) — Even though GEICO Suzuki rider Martin Cardenas can clinch the 2012 GoPro Daytona SportBike championship at this weekend’s Triumph Big Kahuna Miami, it’s business as usual in the Team Hammer pit as the GEICO Motorcycle AMA Pro Road Racing tour arrives in South Florida. With a class-leading seven victories and 11 podium finishes on his resume, Cardenas has a huge 76-point margin in the standings, but the 2010 class champion isn’t celebrating anything just yet. With four individual races left on the schedule, including two this weekend at Homestead-Miami Speedway, the 29-year-old Colombian knows anything can happen. “I have to focus on the normal routine and just racing as we have been all year,” Cardenas said. “We want to qualify well and get a front row position on the grid, if possible, and then we need to go out and race like it’s a normal race. Only three other riders are mathematically alive in the title chase at this point. Dane Westby has the best chance, 76 points back. Cameron Beaubier (-108 points) and Tommy Hayden (-122) also have a chance. The maximum points a rider can earn in the final four races is 126.